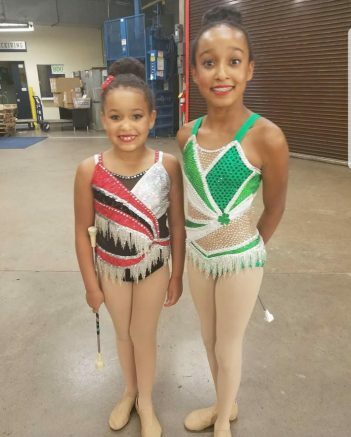 She’s only 12 years old, but Ireland Jones has been mesmerizing crowds and racking up awards across the nation for years with a baton and her athletic ability. 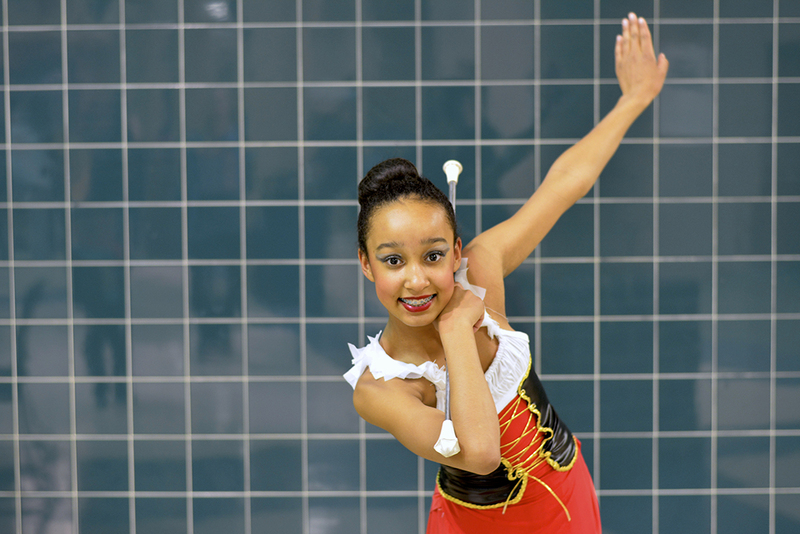 The seventh-grade Creekside Middle School student has her sights set on breaking the world baton twirling spin record, a feat she dreams of doing on “The Ellen Show.” The female record is 9 spins by the person throwing the baton while it is in the air. Ireland is up to 7. “Once you put a baton in her hand, it was just like it was always there,” said Ireland’s mother, Amy Patton. Ireland also takes gymnastics and ballet classes to enhance her routines. She works on her twirling techniques for roughly 14 hours a week. 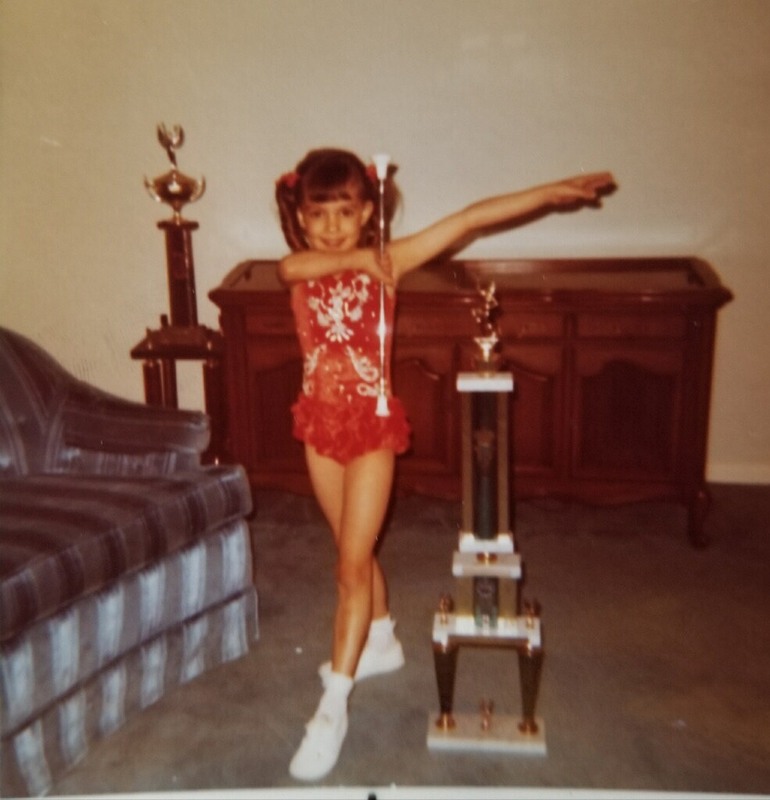 The third-generation twirler has already won more than 215 trophies and counting. Ireland’s titles, for her age group, include Advanced Miss Majorette of Indiana; Advanced World Solo Champion; Indiana State Advanced 2 Baton Champion; and elite solo champion of Twirl Mania 2018. Ireland has held the world solo champion title for the past five years in her age group. “I love it because it is so unique,” Ireland said. Ireland’s grandmother, Virginia Fearrin, began twirling in junior high. During her freshman year at Noblesville High School, Fearrin began teaching twirling. 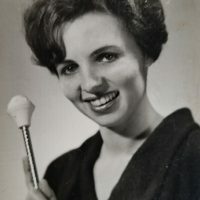 Her students included the featured twirler at Carmel High School, Indiana University and North Central during the 1960s. She continues to judge national and world competitions. She helps design, stone and create Ireland’s costumes and says helping her granddaughter practice for competitions has helped her stay young, fit and involved. Fearrin is happy to pass along her love of twirling to her granddaughter and said she is proud of Ireland’s accomplishments. Dale White, Ireland’s baton coach the last five years, is a 47-year veteran of the skill and is considered one of its top coaches. A number of his students have won world championships and events. White said it was unusual working with Ireland because there were many thing she inherently and innately knew how to do. “She really is special,” White said. White travels from Dayton, Ohio, to Carmel every three weeks for Ireland’s lessons. He said he has no doubt that Ireland can reach the world-ranking level. In the short run, Ireland wants to twirl for Carmel High School and become part of the USA Twirling Team in three years. She is aiming for a twirling scholarship and wants to pursue a career in media as an EPSN sports news broadcaster. In the future, Ireland wants to compete in all sanctioned twirling pageants and competitions, audition for America’s Got Talent and participate in the CarmelFest Parade. “I like to try and keep it alive, because not many people do it,” Ireland said. Ireland lives in Carmel with her mother and stepfather Steve Patton, along with her sister and family dog, Bentley, a 200-pound English mastiff. Her father, Brian Jones, lives in Zionsville. On May 5, Ireland will compete in Miss Majorette of Indiana. Ireland’s favorite foods include seaweed, salmon, pistachios and black beans. She adheres to a mostly plant-based diet. Ireland and her mom Amy Patton, and her 8-year-old sister, Vayda Jones, complete triathlons as a team. Patton is a fitness trainer and helps the girls lead a healthy, well-balanced lifestyle. “These kids are growing up with the healthiest lifestyle you could dream of,” Patton said. Vayda is following in her sister’s footsteps and has also taken up the family tradition of baton twirling. During the summer, the sisters help at their grandparent’s ice cream shoppe, Fearrin’s Ice Cream and Yogurt Depot, in Brown County. Love, love, love you girls! Daddy & your entire family are so very proud of who and whose you are!